For the past 20 years, renting in the core meant choosing between out-dated walk-ups or privately owned condos with less-than-attentive landlords. 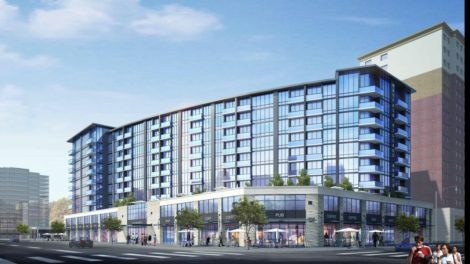 But that’s changing, as more purpose-built rental apartments come to market, including two premium towers that could shake up the rental game. Both the Mayfair on Jasper by ProCura and the Hendrix by Edgar Development include all the features you would expect in a brand-new home: high-end kitchen appliances, in-suite washer and dryer, pet-friendliness and balconies with stunning views of the city (and, in the Hendrix’s case, the river valley). Not long ago, Edmontonians had to flee to suburban apartments for such perks. But it’s the lifestyle amenities—from car-shares to rooftop lounges—that set these properties apart. Here’s how they stack up. Mayfair is defined by its podium: a street-level amalgam of restaurants, cafe and gym. The perks don’t end there; concierge and car-sharing services sweeten the deal. The Mayfair has two rooftop lounges, the wide open North Green Roof for mingling and the secluded South Green Roof for tranquil relief. Meanwhile, solar panels and cogeneration—a technology that turns waste into electricity— make it an environmentally friendly choice. 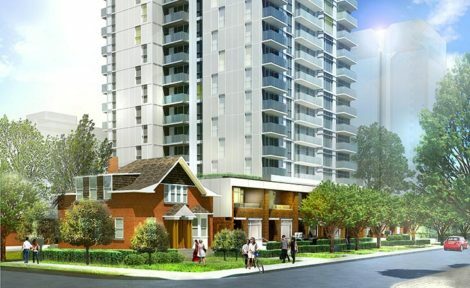 Weighing in at 30 storeys, the Hendrix is the taller of the two. It incorporates the J.T. Ross house into its visage (see p. 15), repurposing this heritage building (once a home for unwed mothers) into a boutique office space. Architectural firm Dialogue included several amenity spaces that promote a community vibe, including a movie theatre, 24-hour fitness centre and rooftop lounge. Ryan Frost is an Edmonton-based writer who's contributed to Avenue and The Yards. This entry was posted in 2016 Winter, New Urbanism.